For patients with low levels of mobility, the heels are one of the most difficult areas to protect, as they are constantly under some degree of pressure when lying down. 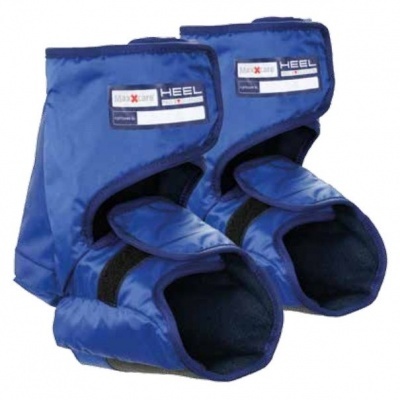 The Invacare Maxxcare Pro Heel Boot (Pair) is designed to protect against pressure ulcers on heels, giving you a higher level of foot comfort. Using an air cushion, the Invacare Maxxcare Pro Heel Boot completely takes pressure off the heel and ankle, reducing the chance of a pressure ulcer developing and helping to heal existing pressure ulcers. Many clinicians find it difficult to reduce the pressure placed on heels but the Invacare Maxxcare Pro Heel Boot makes doing so simple and easy. In fact, the 2014 European Pressure Ulcer Advisory Panel recommended the use of "floating heels" like the Invacare Maxxcare Pro Heel Boot. 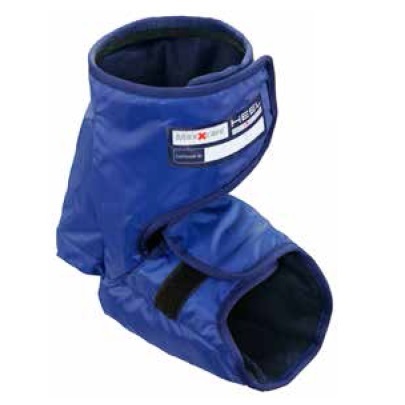 Please note that the Invacare Maxxcare Pro Heelboot is also supplied as an individual Heel Boot.